all the material from their internationally-acclaimed two day program. You will never look at your financial statements in the same way! for one year or longer are eligible. Registration is limited to 10 businesses. Please RSVP to reserve your seat! costs nearly $500 to attend. 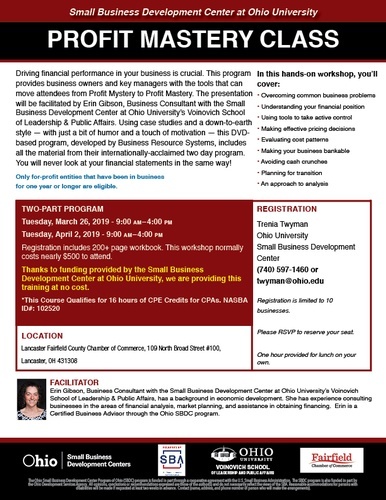 Development Center at Ohio University, this training will be provided at no cost.